A Report from Athens, Greece on the Ten-Year Anniversary of the Murder of Alexis. 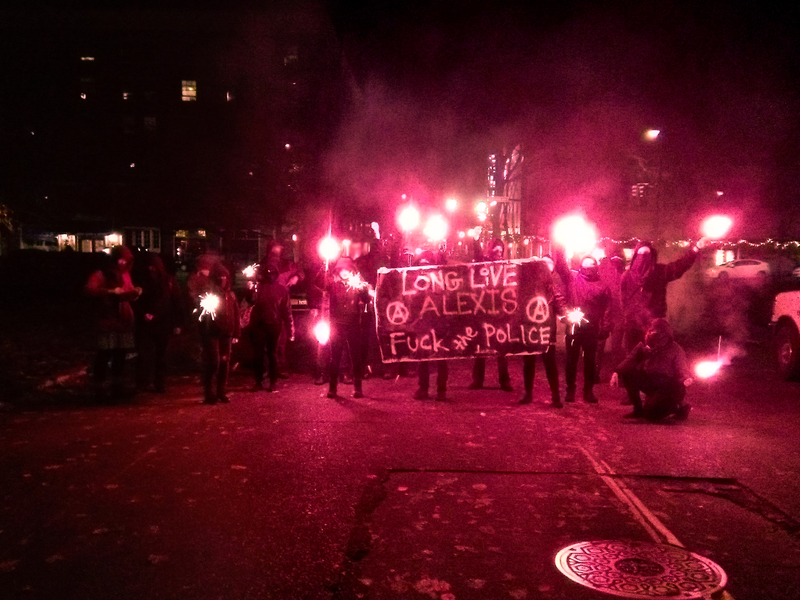 Statement by some anarchists from Olympia about a solidarity action to commemorate Alexis. 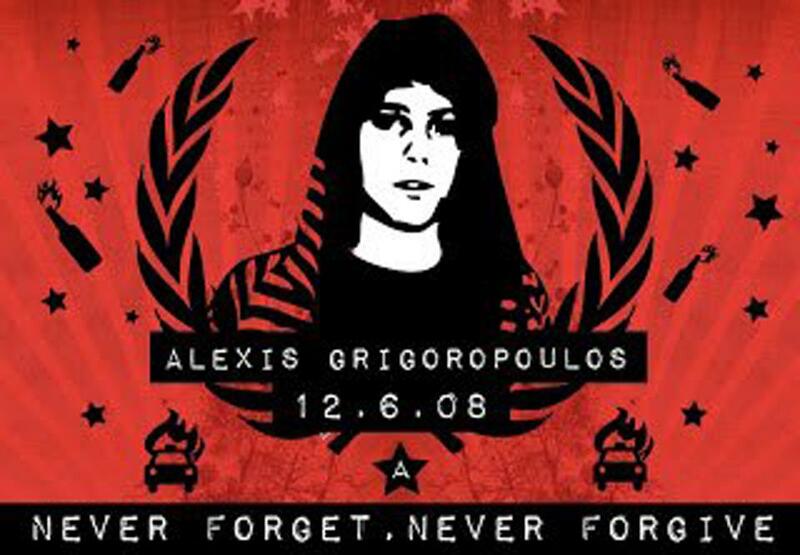 On this day, in 2008, Alexis Grigoropoulos was murdered by cops in Athens, Greece. Alexis was 15 years old. Today we will publish a live blog about todays actions against statet terrorism. We will report live from several demonstrations and actions around the globe, including Athens. We publish this Live-Blog as part of our 10 years after police murder on Alexis series. If you want to contribute to our live blog; You can send your pictures, videos, reports and analysis to info@enoughisenough14.org. Click at the refresh button of your browser to get the latest information. You will find the updates at the bottom of the page. 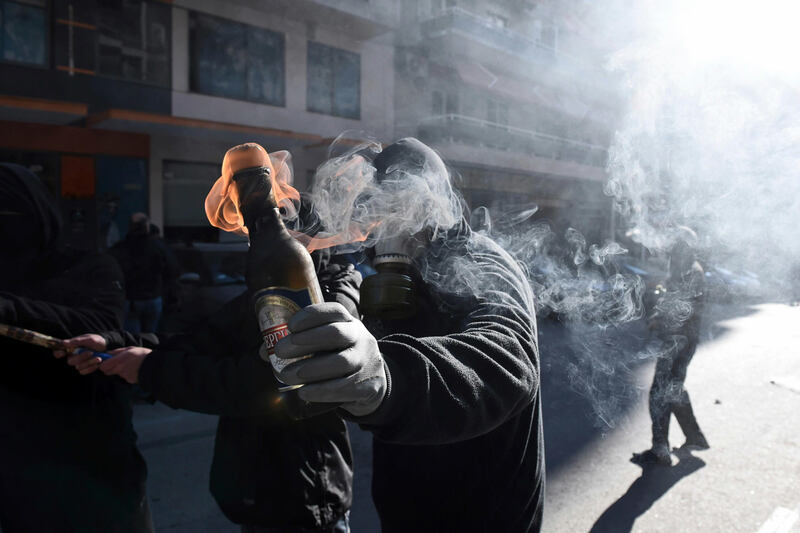 Statement from November 2017 by the Open Assembly AGAINST the POLICE OCCUPATION Athens. But… today it’s December 6 again… 10 years Alexis Grigoropoulos Never forgive, never forget! Although the statement is from last year, the image above is to mobilize for todays demonstrations in Athens. An anonymous submission with a personal view from someone not from Greece but connected to the place and its events in recent times. 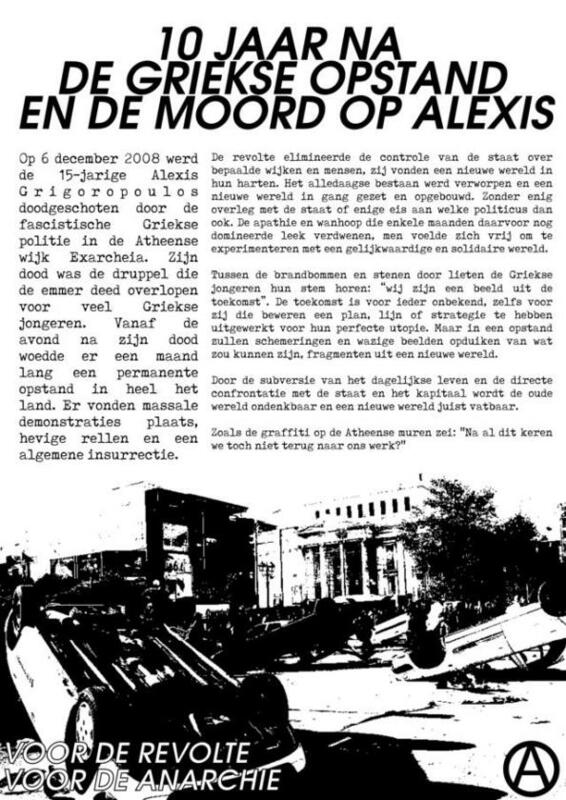 We publish this article as part of our 10 years after police murder on Alexis series. 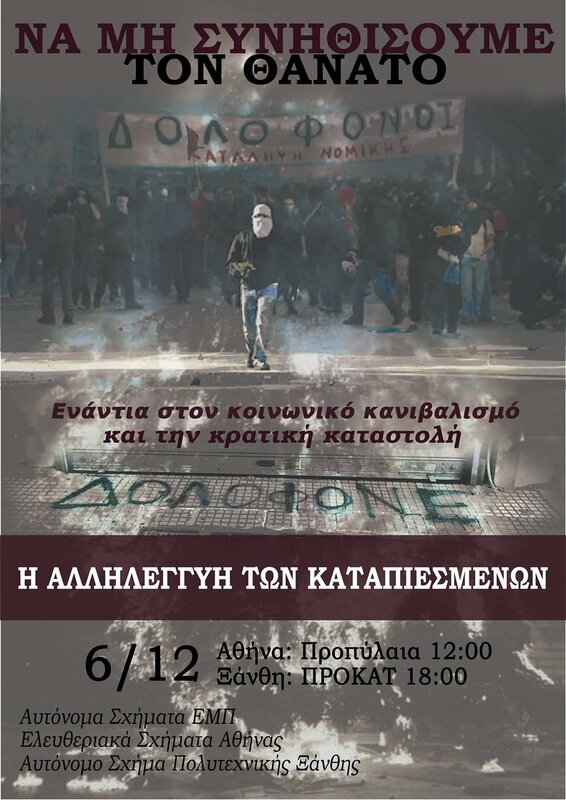 Translated text of a poster from Komotini for Alexandros Grigoropoulos and Zak Kostopoulos. We republish this article as part of our 10 years after police murder on Alexis series. 10 years ago Alexis Grigoropoulos was shot dead by police in Athens. 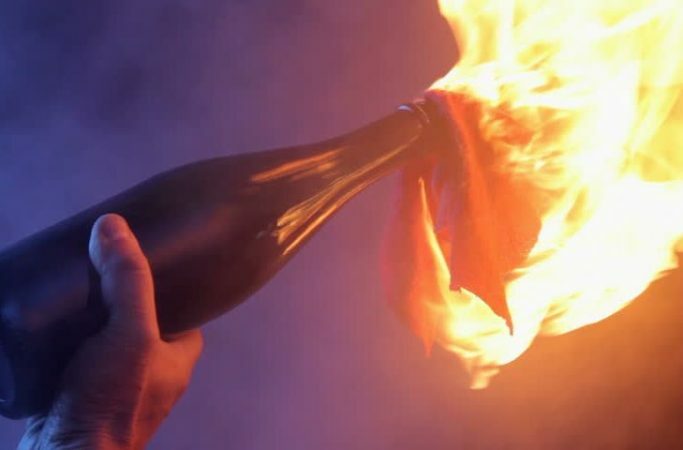 In this context a banner was hung up and graffiti was sprayed in the city center of The Hague. 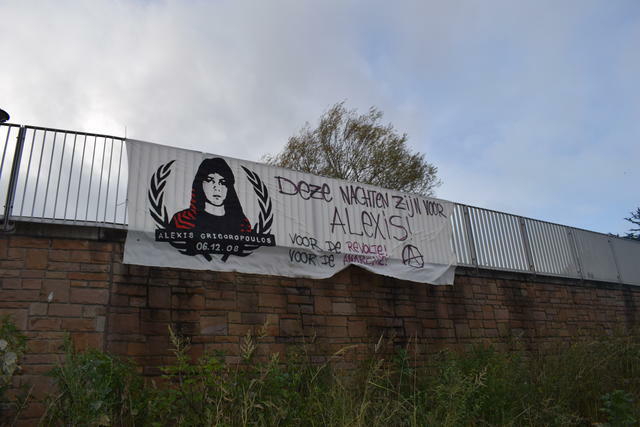 Dutch territory: This December its 10 years ago that 15 year old Alexis was shot dead by police in Athens. In this context and the month long revolt that followed a poster was made, printed and spread. We publish this article as part of our 10 years after police murder on Alexis series. 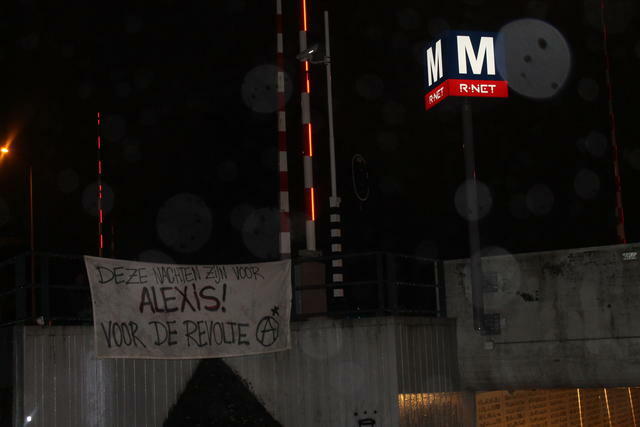 Statement about an action to commorate Alexis in Amsterdam during the weekend. We publish this article as part of our 10 years after police murder on Alexis series.